Disney animal expert Bernard Garbutt has a sensational sense for observation. 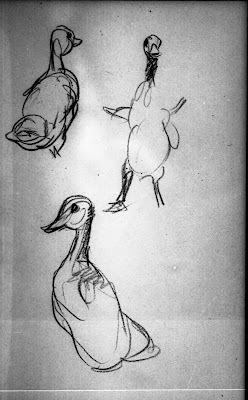 There isn't a creature he couldn't draw well. 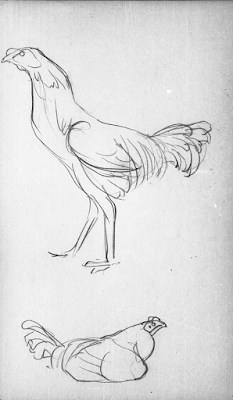 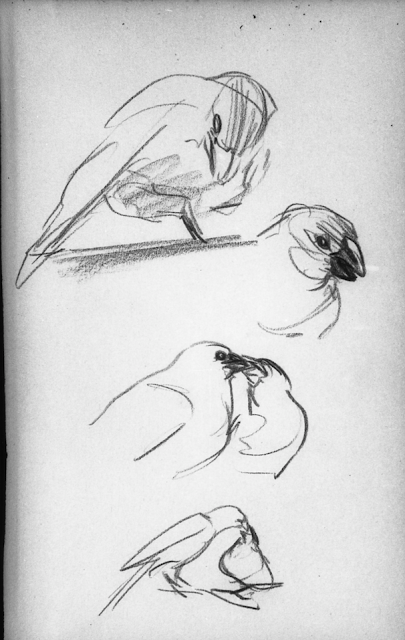 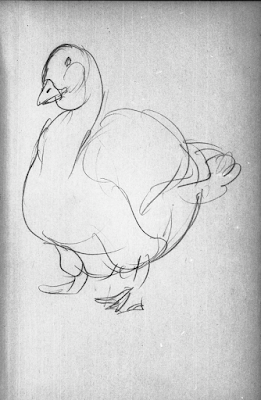 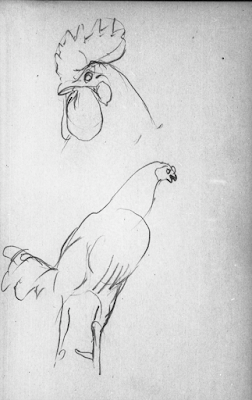 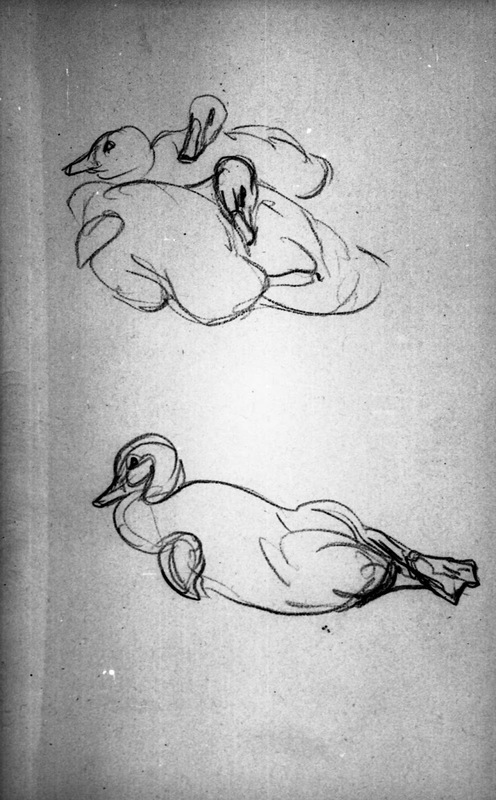 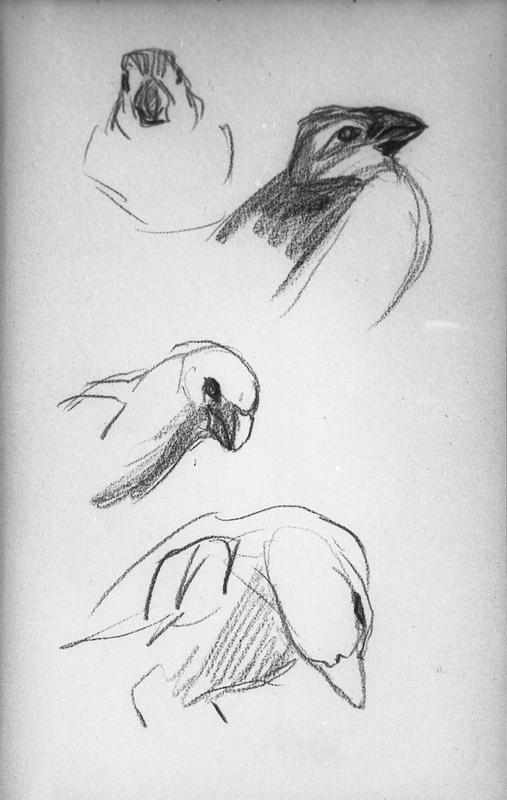 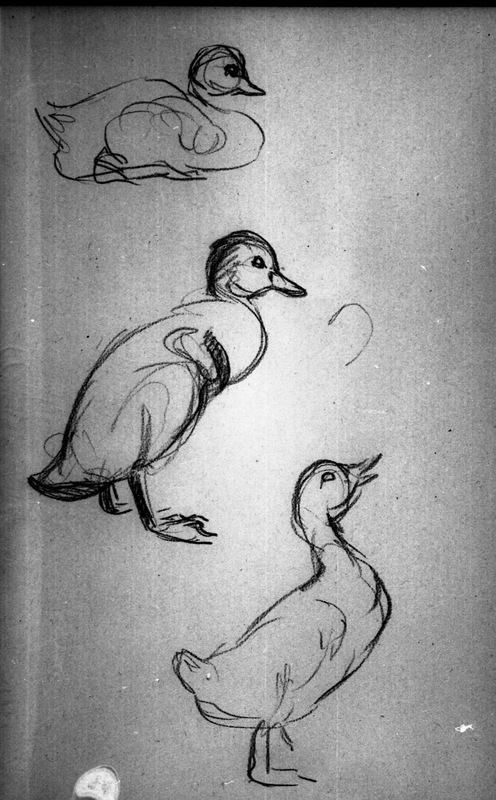 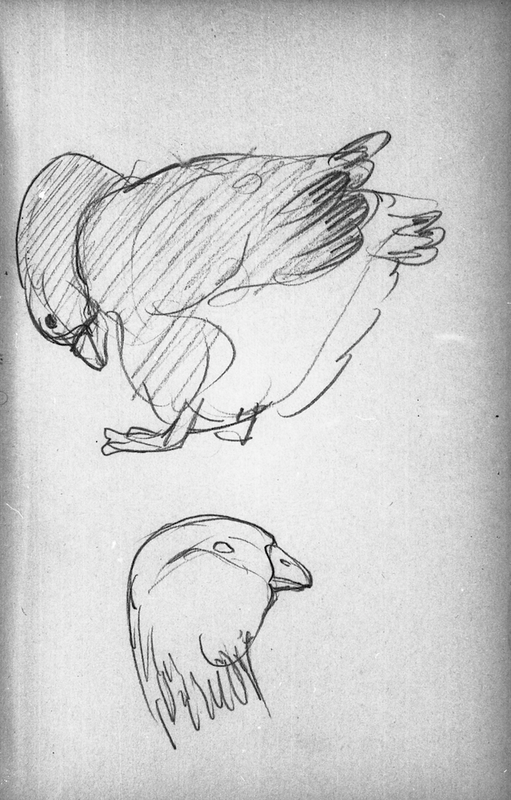 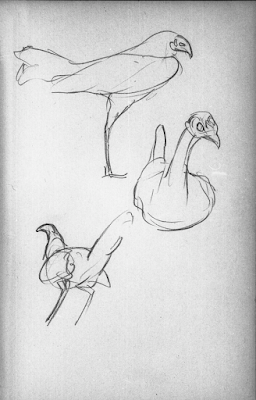 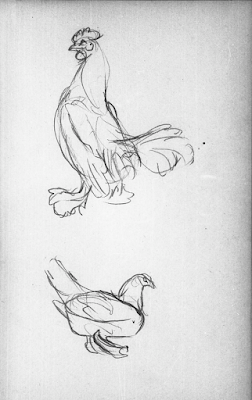 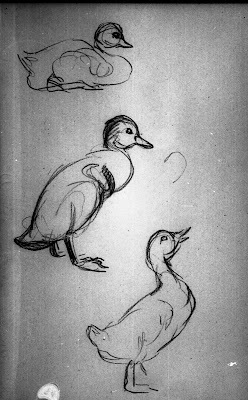 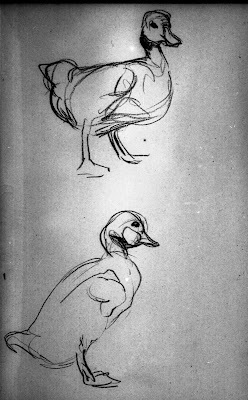 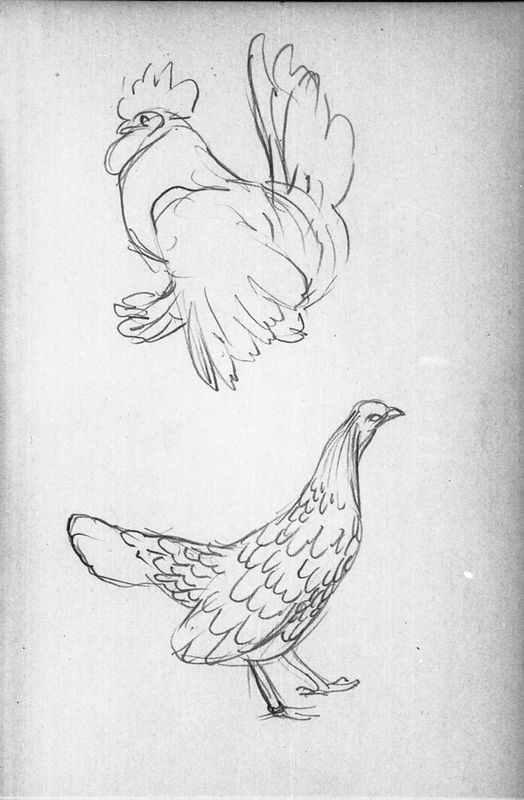 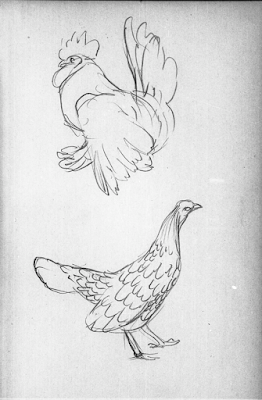 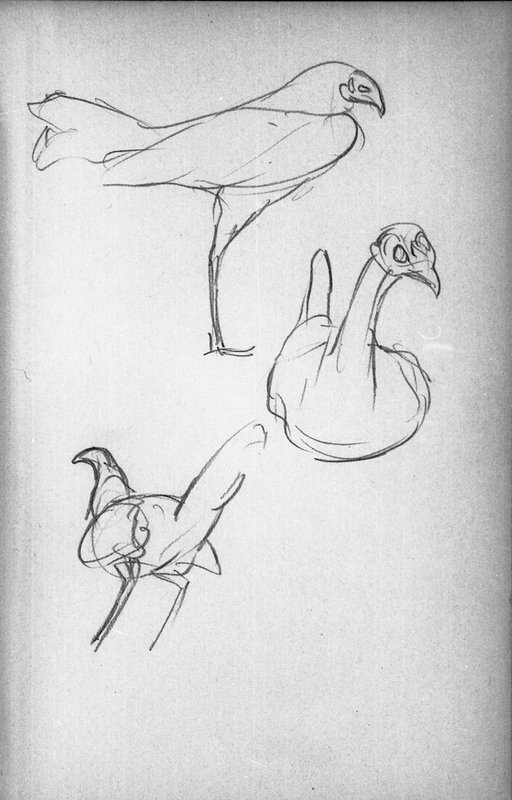 Here are pages from his sketchbook showing a variety of birds, sketched at a country fair in the early 1940s. 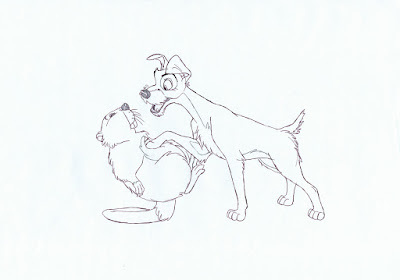 This stuff is soo good! Heritage Auctions continues to offer absolutely stunning, rare animation art, and I look forward to each new selection of artwork. I wished I would have made a bid on the piece pictured above. 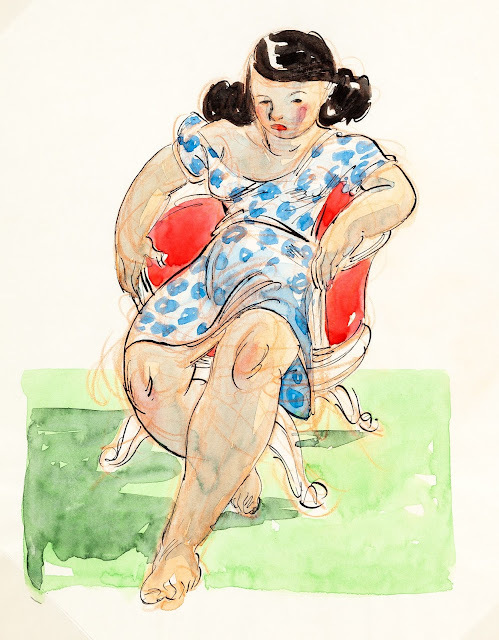 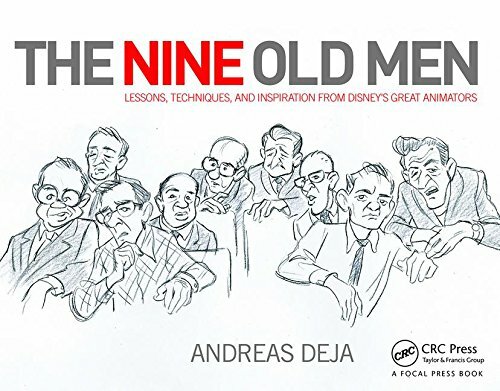 At first glance it looks like one of many Fred Moore girl sketches. When I took a closer look, I couldn't help but be reminded of a painting by French painter Paul Gauguin. Call me crazy to make this connection, but Moore's fully bodied proportions as well as his choice of color just might have been inspired by this Gauguin painting depicting two Tahitian women. 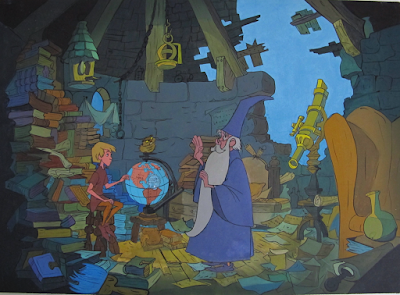 I understand that Fred was not interested in art history or attending art classes at Disney for that matter. 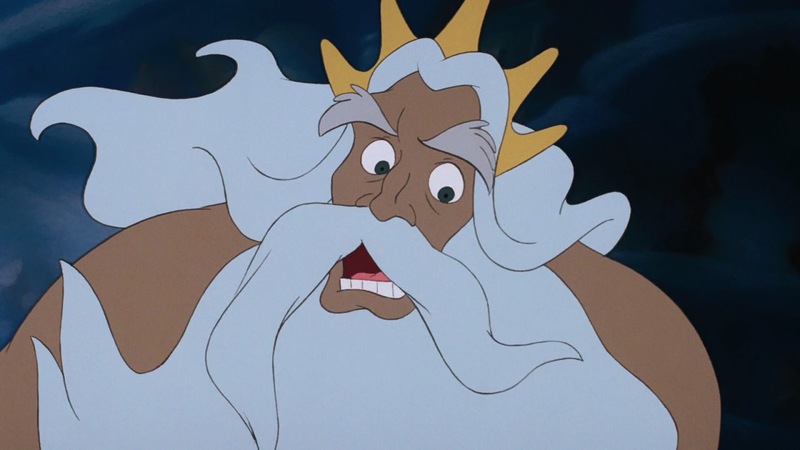 But look at the girl's expression. 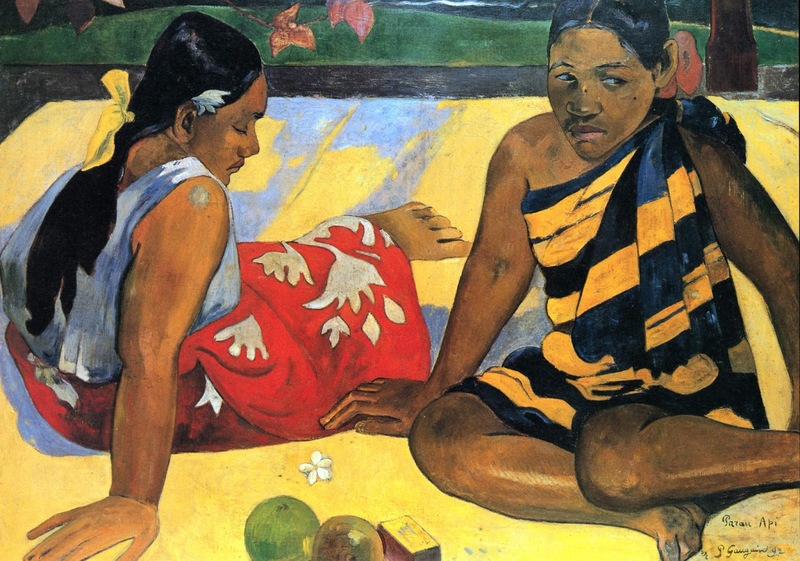 Her mood is serious and reflective like the woman on the right in Gauguin's painting. The color palette is very similar to the woman on the left. Fred just might have seen this Gauguin painting in an art book. 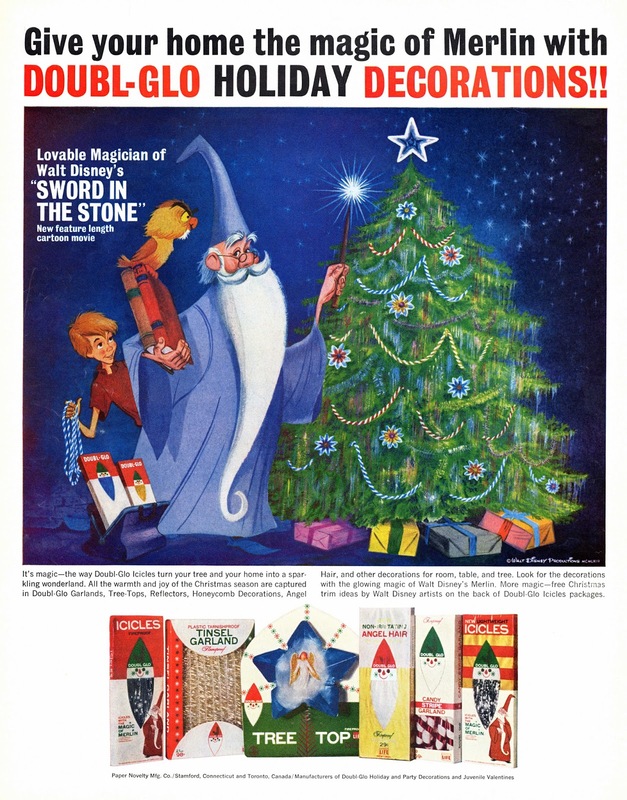 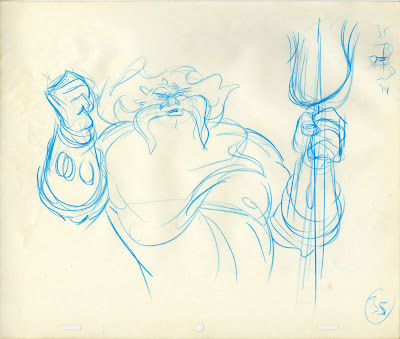 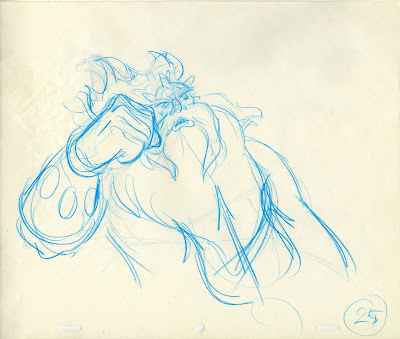 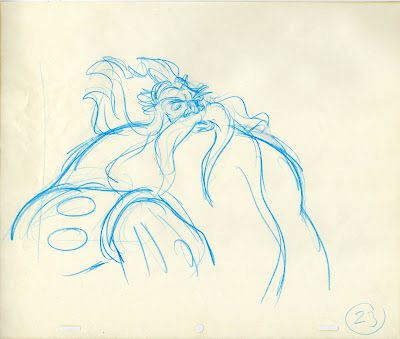 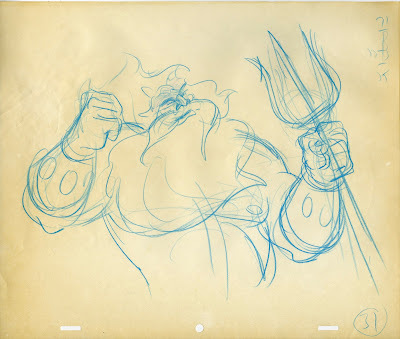 Toward the end of the year, here is another post featuring artwork from Disney's The Sword in the Stone. 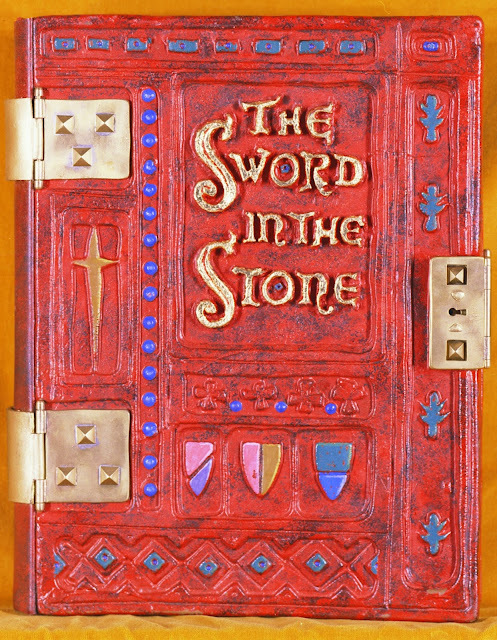 I love this beautifully crafted book which was created for the beginning of the film, as its opening pages begin to introduce the film's story. 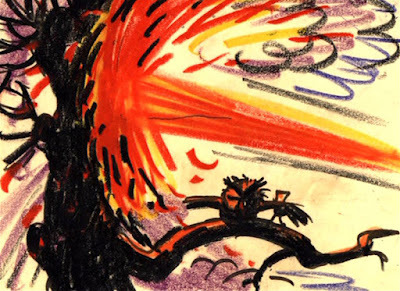 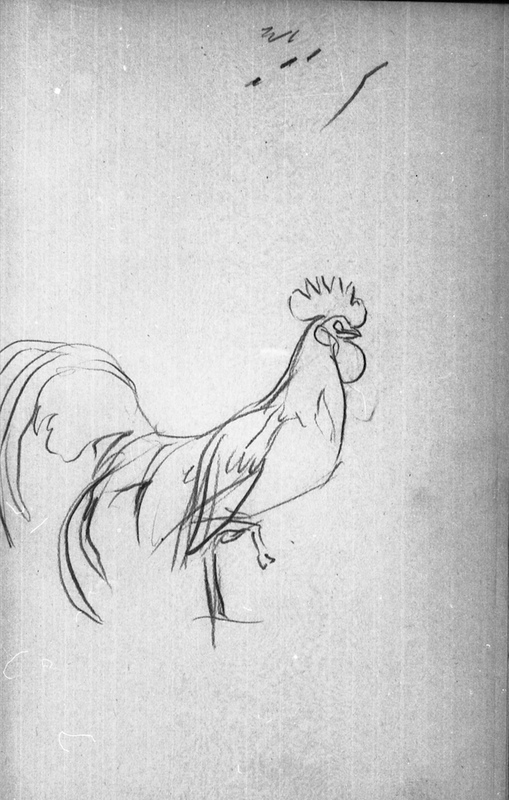 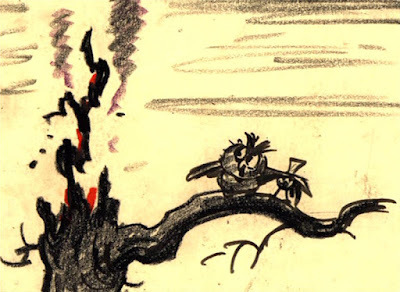 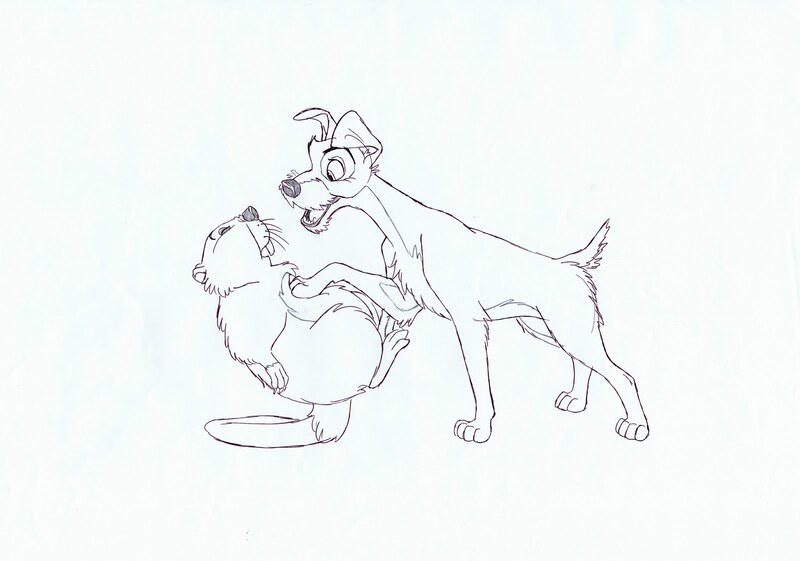 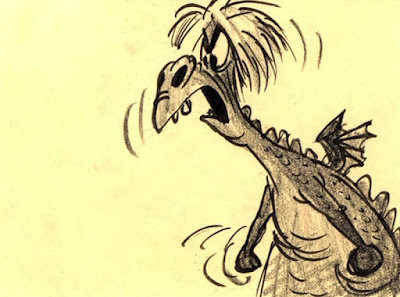 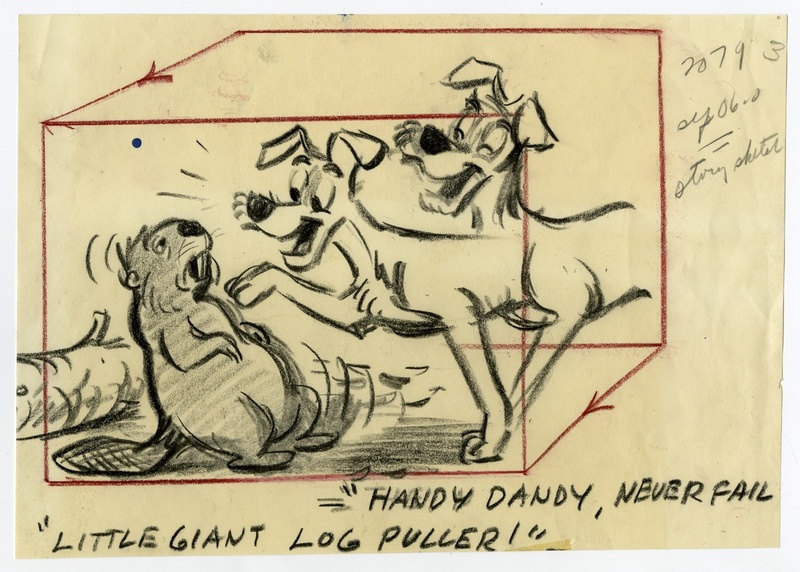 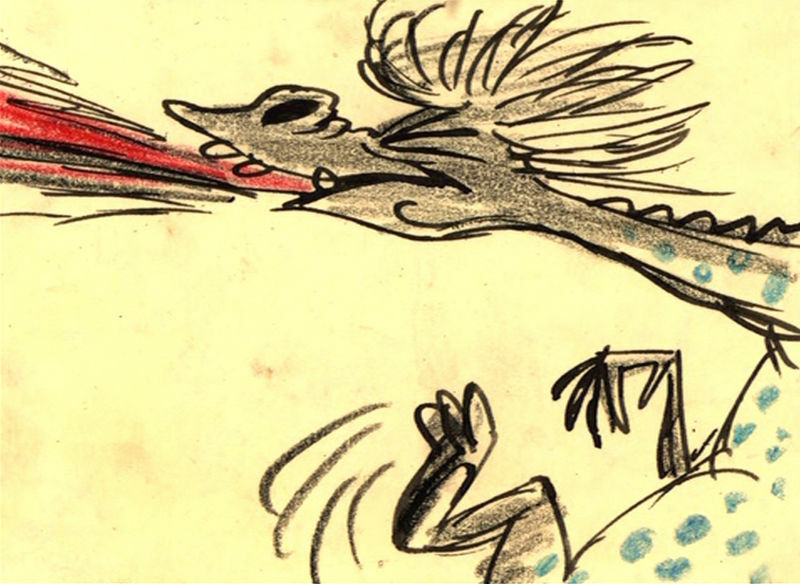 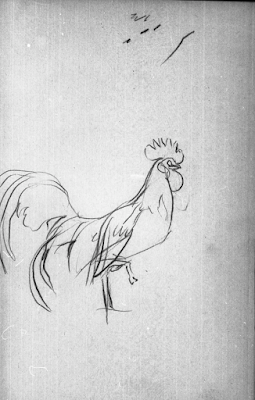 The following story sketches by Bill Peet show again how closely the final production followed Peet's lead. 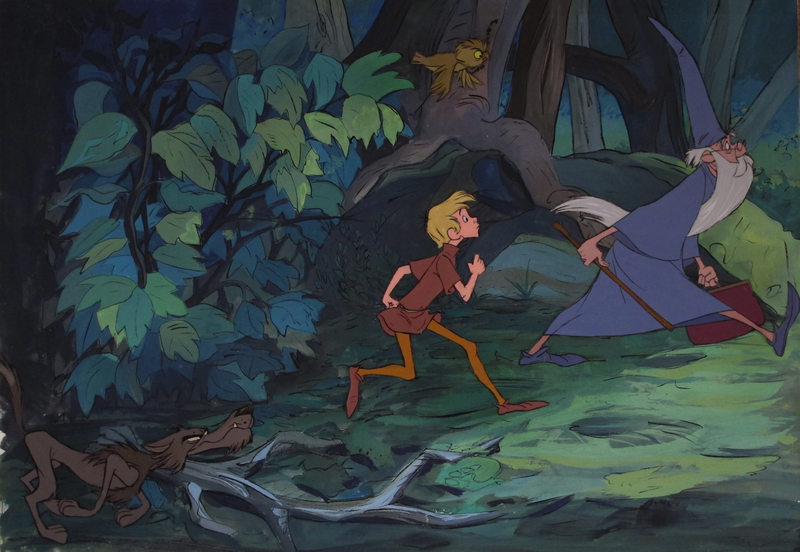 Simple and so effective. 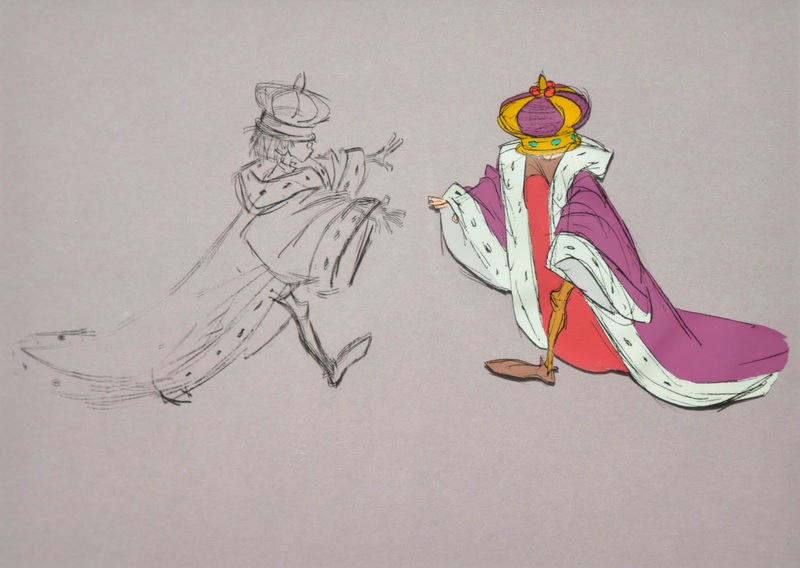 A couple of cel set ups from the film. The first one is an Ollie Johnston scene, the second one is by John Lounsbery. 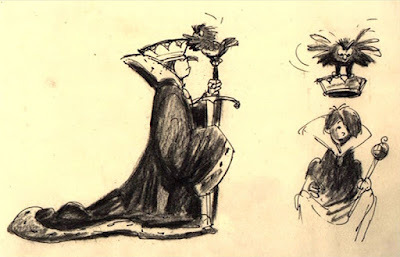 Bill Peet's concepts of Wart in his oversized royal outfit. 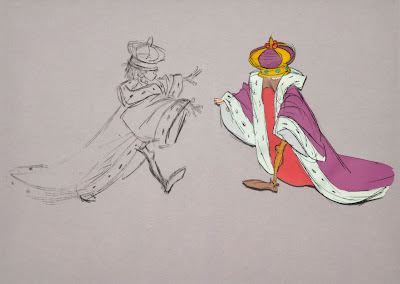 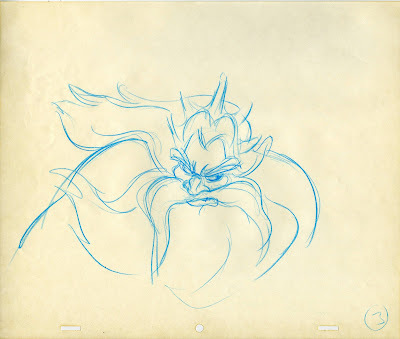 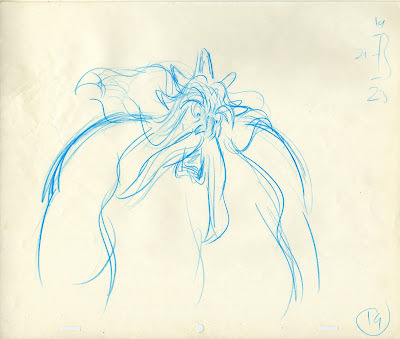 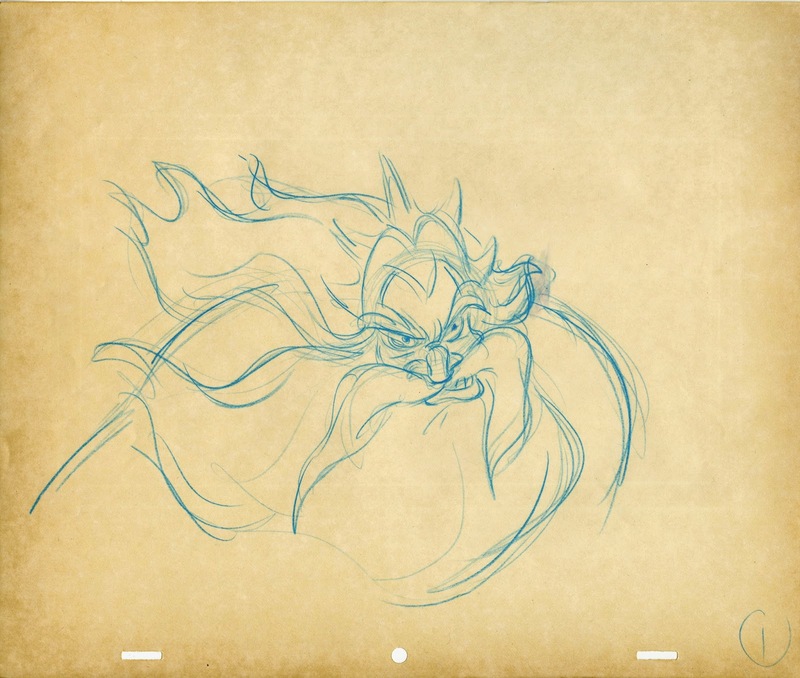 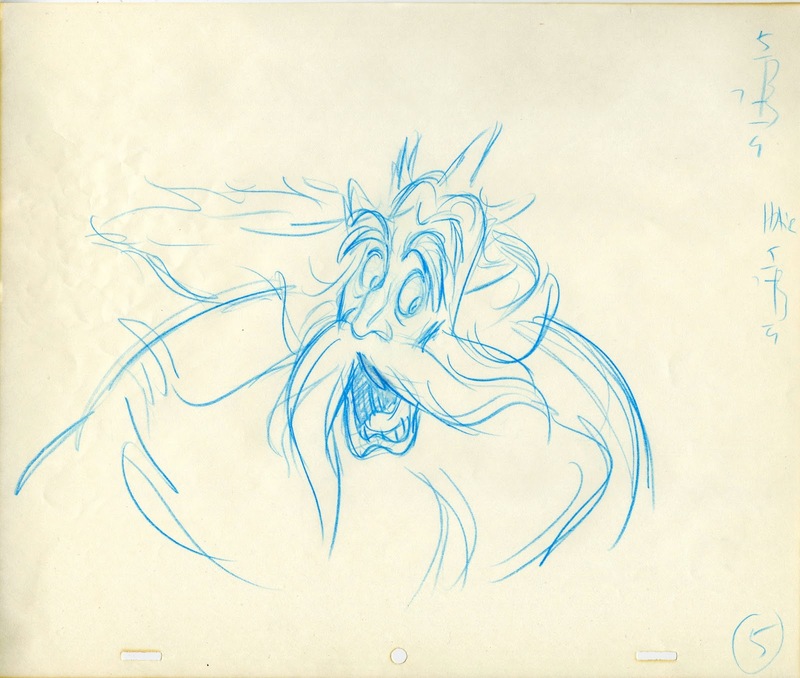 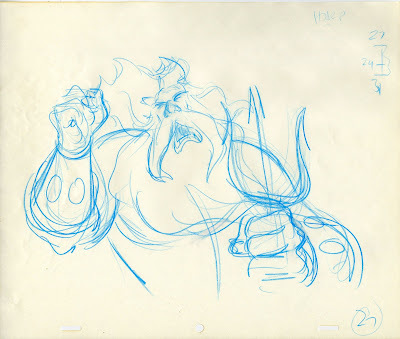 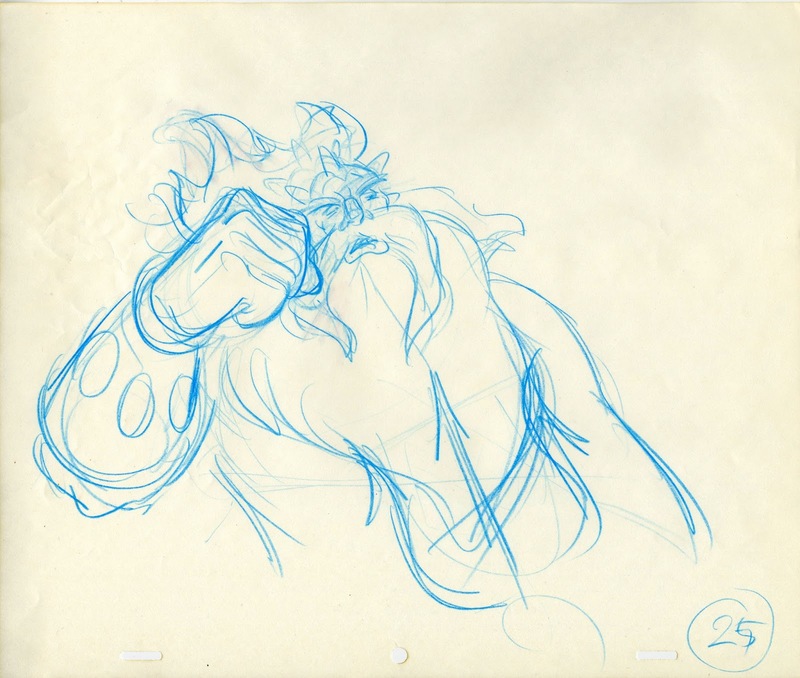 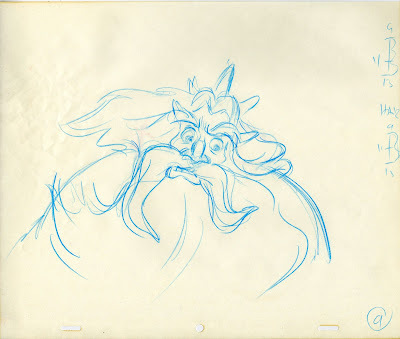 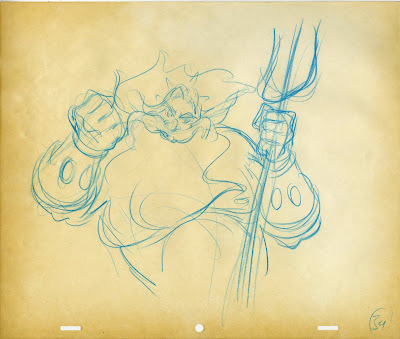 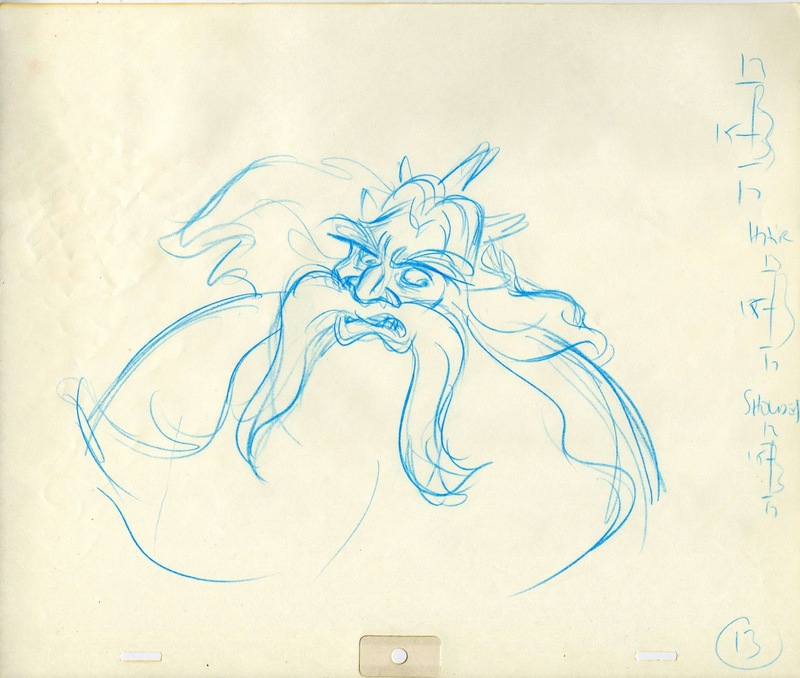 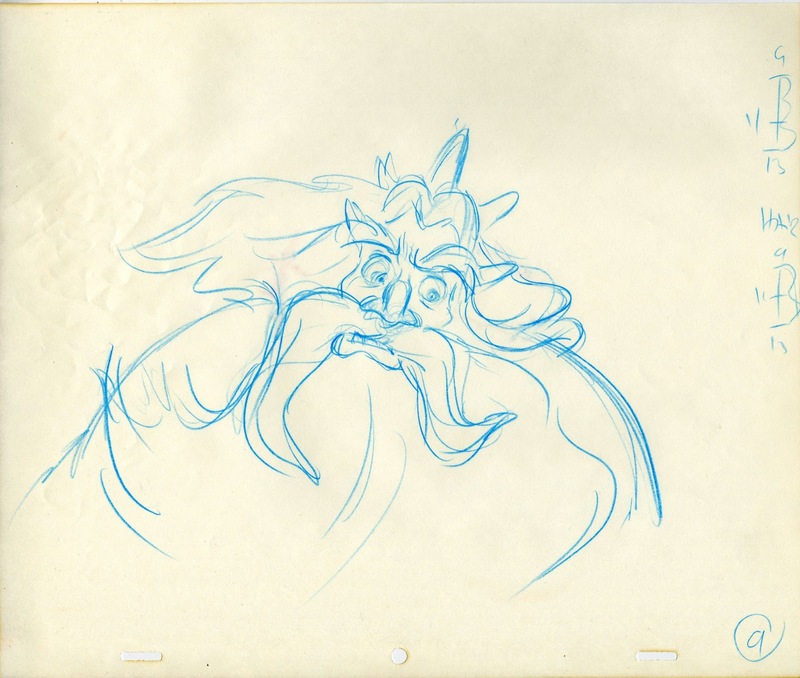 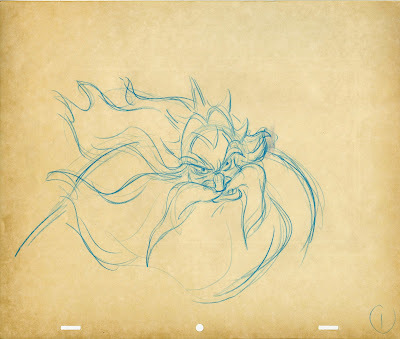 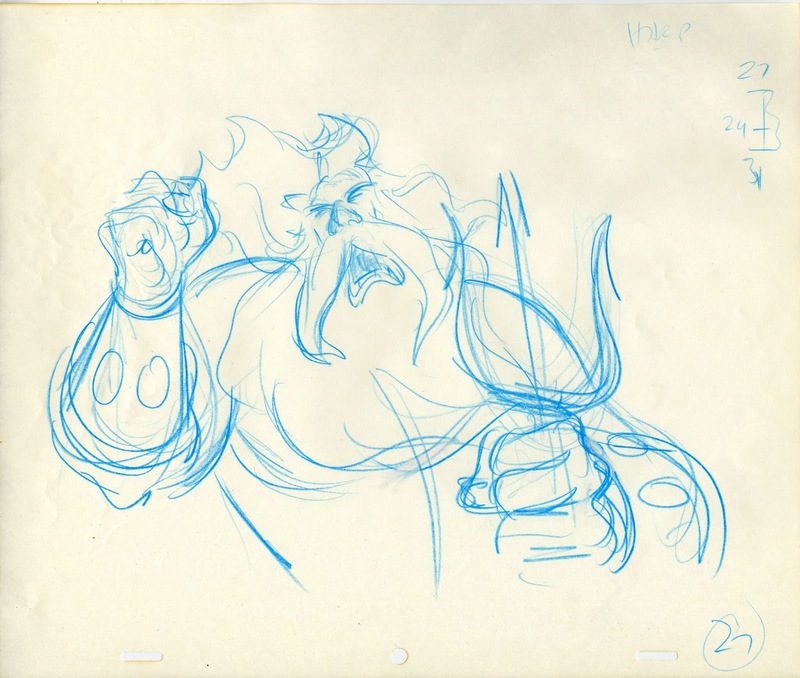 A couple of great Milt Kahl rough drawings depicting the same scenario on a color model cel. 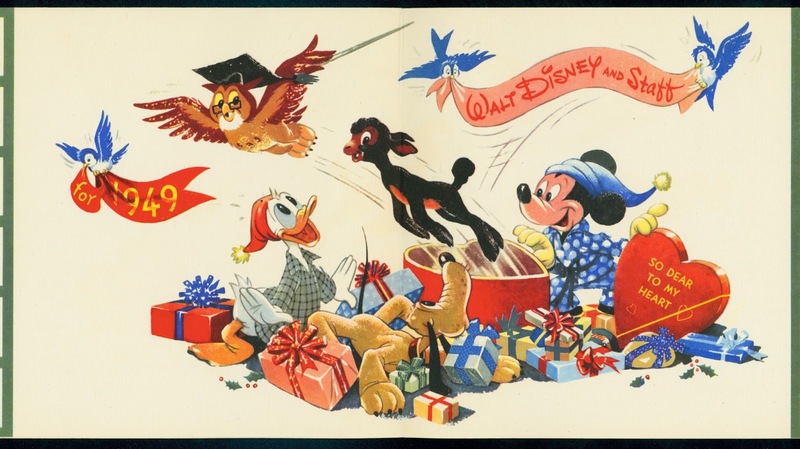 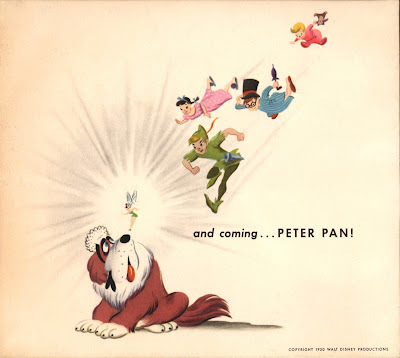 Walt Disney Productions' Christmas cards were often very beautiful. The artwork was produced by the studio's animators, designers and background artists. Usually the main illustration showed what production played in movie theaters that season, or what could be expected in the following year. 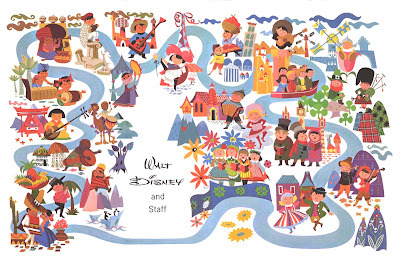 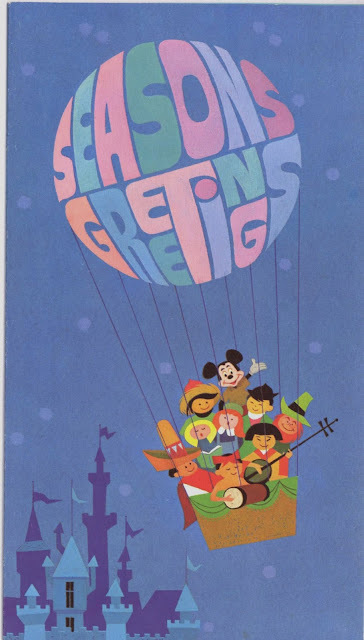 The card above with a great Small World image on the inside was sent out in 1966, Walt had just passed away. A few favorites covering one decade.